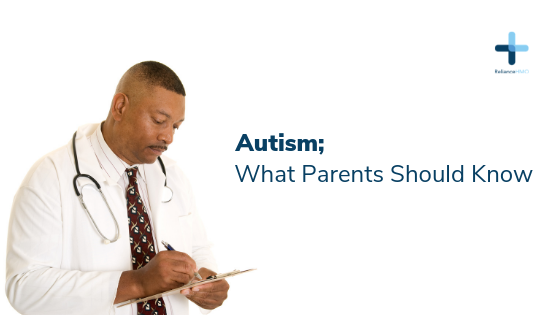 Autism; What Parents Should Know. There has been a lot of discussions on autism recently, especially among parents and teachers who have autistic children in their care. First, let’s get to have a simple explanation for autism. Autism is a condition that starts manifesting in early childhood (around 3 years of age) characterized by abnormal social interactions, poorly developed communication skills and intense obsession with very specific behaviours. These children usually don’t make eye contact with the person talking to them. And they don’t respond even with turning or looking up when you shout their names. Most children with autism also make this continuous flapping movements with their fingers or hands. In this case, the child may spread out their arms sideways and make bird-like flapping with the hands, or spread out the fingers and turns the hand back and forth. Austic children have this weird obsessive focus on certain behaviours. For instance, the child will be fixed on a particular object or do things like banging their hand on something repeatedly for minutes or even hours. These children have problem interacting socially with their parents and other children no matter how much the parents try to engage with them. Genetic abnormalities which means that autism runs in some families and can be passed on to the children from parents who have genetic predisposition to autism but didn’t manifest it. There is also evidence from studies that the older a woman (especially after 35 years) the higher the probability that any child she gives birth to may have autism because a woman’s egg slight undergoes genetic mutations with advancing age. Also, men older than 50 years are at an increased risk of giving birth to an autistic child compared to younger men. Pregnant women who are exposed to drugs such as those used in treating epilepsy (if they have epilepsy) have a higher risk of giving birth to autistic children. Rubella infection in pregnancy has been associated with the delivery of autistic children compared to other infections. Hence, it is important that a woman receive proper preconception care before getting pregnant and register for and receive antenatal care throughout pregnancy. Children with autism need a very special form of education designed for them. Autistic children may also have other disease conditions that will require medical treatment with drugs. Therefore, parents who have autistic children should seek help in any of the teaching hospitals where there are experts with experience in collaborating and managing autism.